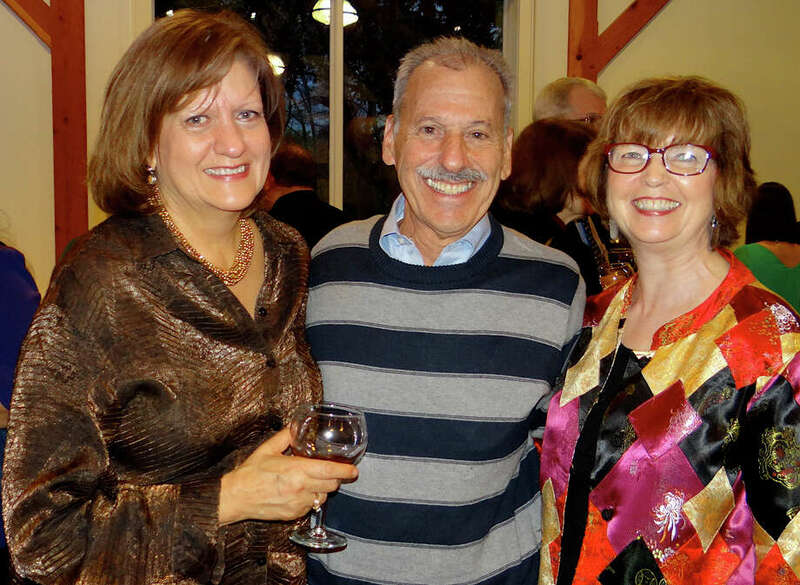 At the Fairfield Foundation for Education wine tasting on Saturday were, from left, event co-chairwoman Val Foster; grants committee member Jeff Ackerman, and foundation founder Ann Clark, a former Fairfield school superintendent. It was all in good taste. The Fairfield Foundation for Education's third annual wine tasting Saturday night at the Fairfield Museum & History Center raised money for innovative programs in town schools while attendees enjoyed fine wines and gourmet treats. Those at the gathering enjoyed samples of wine from five distributors, organized by Harry's Wine & Liquor Market, and gourmet olive oil and vinegar tastings courtesy of Dash 'N' Drizzle Olive Oil and Spice Shop. There also was a jazz duo on hand, thought-provoking silent auction packages and a spread of cheese, fruit and crackers. Funds raised supported the FFE's mission to award grants to local teachers for projects that enhance the classroom experience, foster creativity and encourage ideas beyond the core curriculum. Since the foundation was established -- Ann Clark, former superintendent of Fairfield public schools was among the founders -- it has funded 20 programs in the school system.